Looking for a way to backup and transfer your iPhone 4 contacts to your Mac? You’re in the right place. We will show you detailed steps about how to backup and transfer iPhone 4 Contacts to Mac with a third-party iPhone Contacts Transfer. 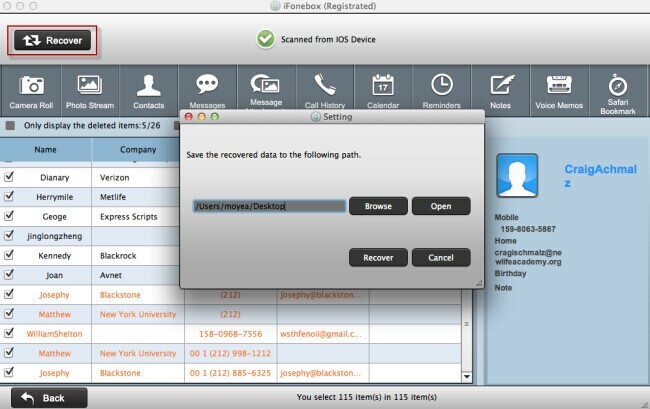 iFonebox is designed to backup, recover, and transfer iPhone Contacts from iPhone to Mac. It can help you to export iPhone Contacts to a .csv file, then you can recover them when it necessary. It also allows to extract iPhone 4 contacts to .vcf and .html files on Mac desktop. Download the software firstly with below download link to try it free. 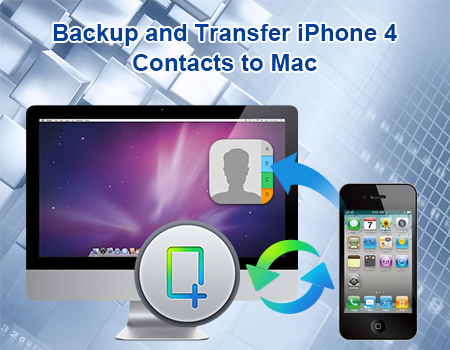 The following guides will show you a good solution to backup and transfer iPhone 4 contacts to Mac. 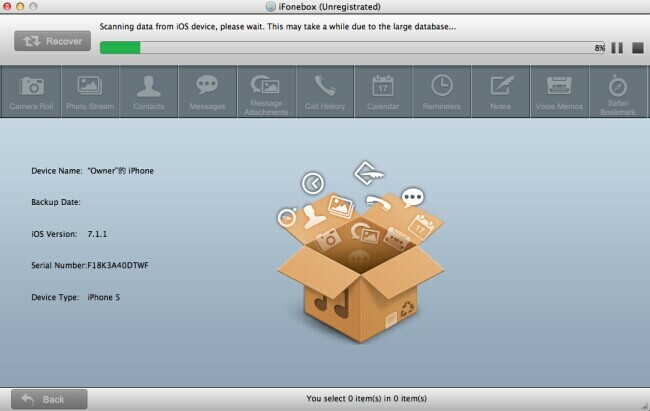 After install iFonebox on your Mac, launch it and connect your iPhone 4 with your Mac via USB cable. 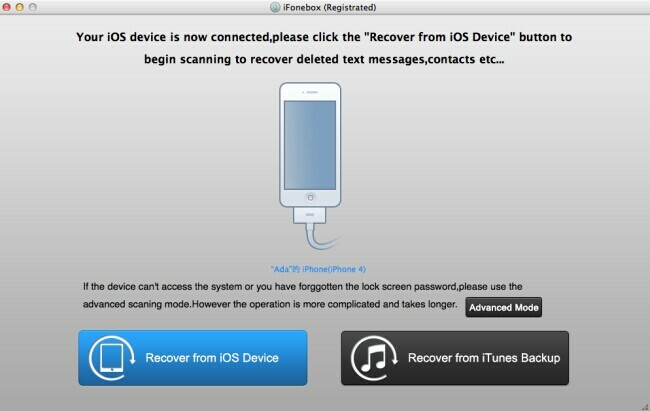 Notes: If your iPhone 4 is normal, then you could choose “Recover from iOS Device” to scanning your device directly. If there is something wrong with my iPhone 4, you could enter the “Advanced mode” to access the data in it. Then the iPhone 4 backup and transfer tool will automatically start scanning and analysis your devices. The scanning time will depends on the database in your iPhone 4. Wait patiently if there is a large data in your iPhone 4. When the scanning is finished, all the data in your iPhone 4 will be displayed in interface in categories. Click “Contacts” to preview all the contents in your contacts, including the deleted. Then click the “Recover” button on the top right of the interface to restore these contacts on your Mac.